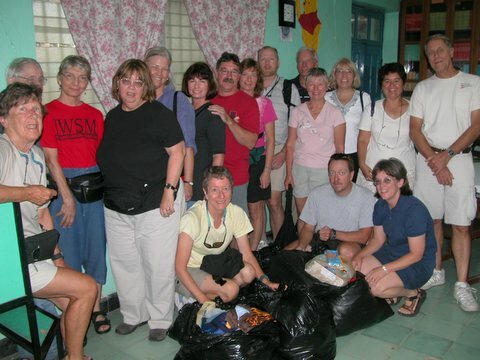 Giving something back to the people we visit is a small, but important, part of all the excursions we organize and lead. We encourage all participants in each Rutahsa Adventures trip to bring school supplies, toothpaste and toothbrushes, children's clothing and shoes, and, sometimes medicines, as much as the traveler can conveniently carry. These supplies are donated to a school, an orphanage, or a local relief agency that we have contacted in advance, an agency or persons that we know will make good use of the donated supplies. 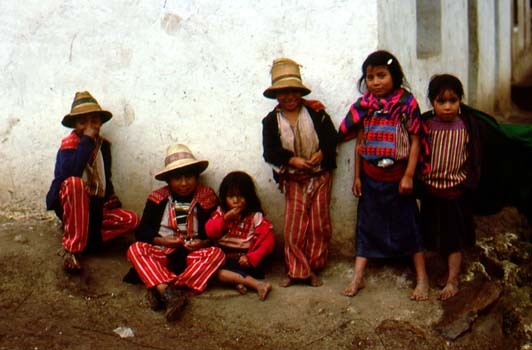 Commonly, a visit to the school, orphanage or other site is included in the excursion itinerary so the traveler gets to meet some of the recipients and see the supplies put to good use. 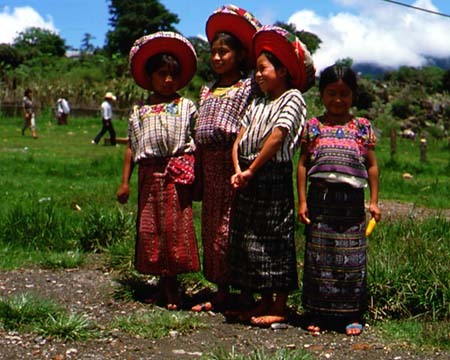 For example, on our 2002 summer excursion to Guatemala, Rutahsa travelers donated supplies to Ak' Tenamit, a center for Q'eqchi Maya that includes a school, medical services, training in modern, appropriate technology farming techniques, and a women's arts and crafts co-op, located on the Río Dulce. Ak' Tenamit is a truly fine operation, doing a lot of good for the local people, and, more importantly, teaching them how to help themselves. Here's a shot of Gwynne Lott, one of Rutahsa's most frequent travelers (five trips since 1999, but watch out, Gwynne, Susan is gaining on you with four now!) 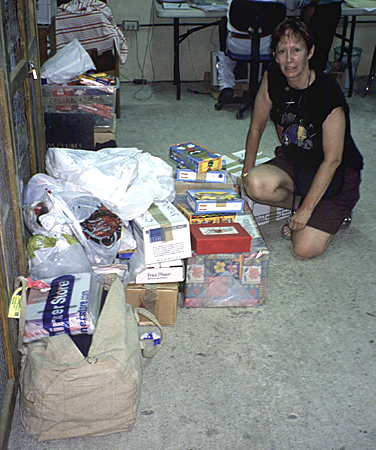 and a major contributor to our little aid program, examining the pile of donated supplies at Ak' Tenamit. And here's our 2005 Honduras group with bags of children's clothing and school supplies donated to the El Hogar orphanage in Tegucigalpa.